A collaborative installation by Anil Dega x Manimekala Fuller, commissioned by Queer Asia for their 2018 exhibition “Bodies X Borders”, celebrating Asian and Asian diaspora artists who explore sexuality and gender identity through art. 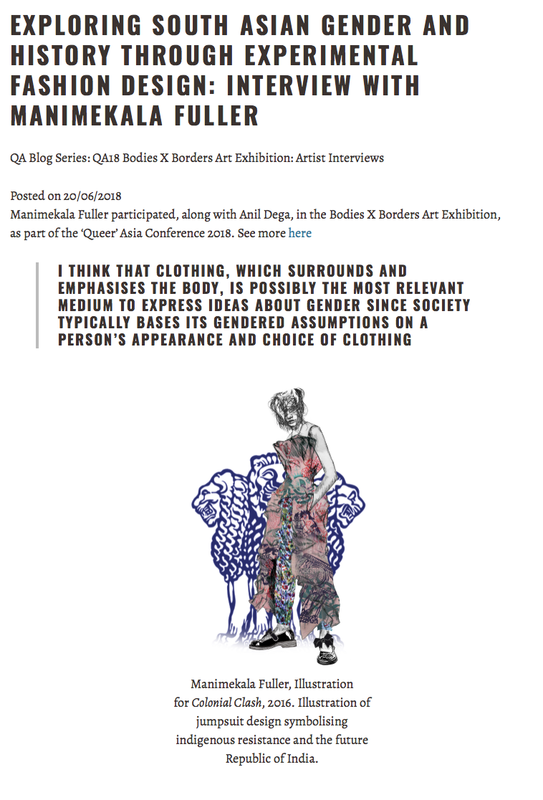 Please click here for Mekala’s full interview with Queer Asia. 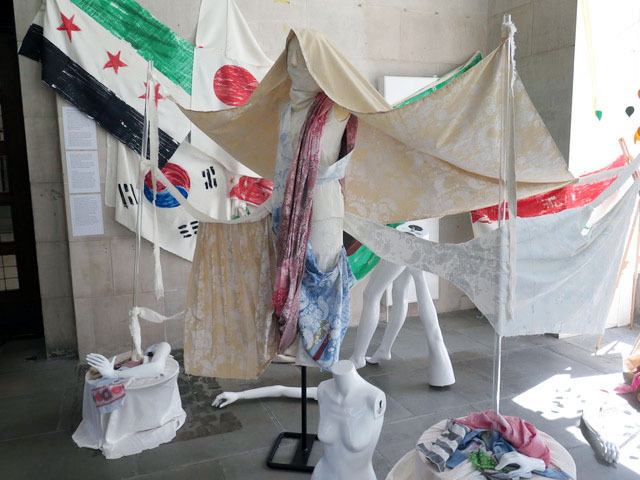 Skills: collaboration, art exhibition, sculpture, installation, draping, screen-print, hand-painting, up-cycling.